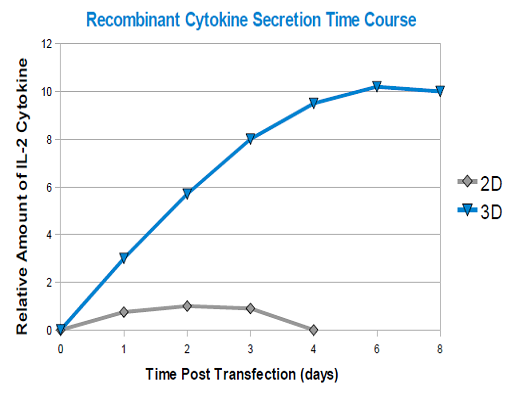 Add a new dimension to your transfection! 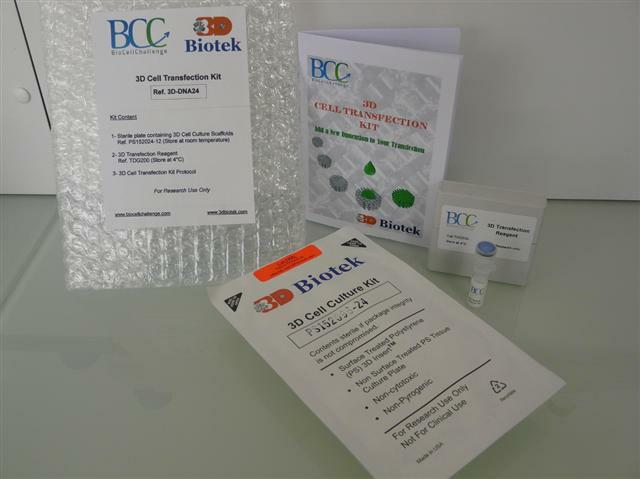 The 3D Cell Transfection Kit is based on a unique in vitro transfection technology which allows researchers to achieve high delivery efficiencies of plasmid DNA into 3D cultured cells. This innovative product includes a sterile plate containing 3D Cell Culture Scaffolds (3D Biotek, LLC) and an especially designed 3D Transfection Reagent (BioCellChallenge, SAS). With this kit, researchers can now perform extended 3D transgene expression studies in cells grown in physiological-like tissue environments. 3D Cell Culture Scaffolds are made from polystyrene, the same material as traditional tissue culture plates. The combination of polystyrene’s transparency and the porous structural design of 3D Cell Culture Scaffolds allows researchers to monitor cell growth and transfection efficiency under an inverted light microscope. 3D Cell Culture Scaffolds within the 3D Cell Transfection Kit have increased surface areas compared with 2D cell culture plates. 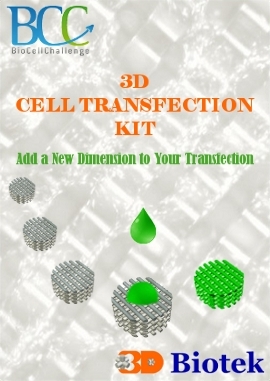 As a result, more cells can be transfected on 3D Cell Culture Scaffolds while using the same size cell culture plates. 3D Cell Culture Scaffolds will not absorb cytokines, growth factors, or any other molecules. Therefore, molecules secreted by the transfected cells can easily be separated or recovered from culture medium without extensive separation steps. Greater and extended IL-2 cytokine secretion in 3D.